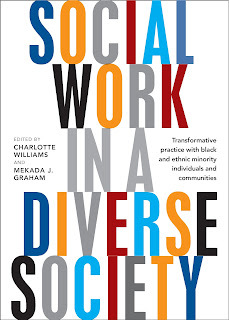 Today we are featuring a work that has been edited by Professor Charlotte Williams titled “Social work in a diverse society” as part of our showcase of RMIT authors. Professor Williams is Deputy Dean of Social Work at RMIT University. Her research is focused on issues surrounding contemporary multiculturalism, ethnicities and race. She is particularly interested in issues of social justice and equality. 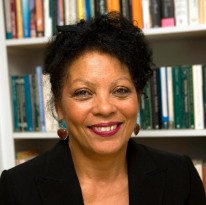 Williams’ background is in social work and her current research has allowed her to pursue issues relating to social theory and policy, race theory and policy, social geography and development and theories of migration and multiculturalism. She has undertaken additional research in the areas of social work and multiculturalism in Australia, issues and conditions for newly settled migrants and asylum and refugees. Her latest publication “Social work in a diverse society” is held at RMIT University Library. It is concerned with the concept of working with racially and ethnically diverse populations and the manner by which this is a crucial aspect of modern social work practice and planning. It brings together a plethora of academics and field practitioners whose diverse experience and background lend great insight into current issues concerning the profession. It offers observations on how best a present-day practitioner can undertake their work within modern culturally and racially diverse societies. For more information about Professor Charlotte Williams, see her staff profile which includes a more comprehensive biography and list of her publications.